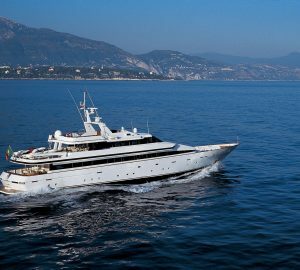 COSTA MAGNA is a 44,50m (145' 11") Proteksan built motor yacht which was built in 1983 and has had several refits through the years. 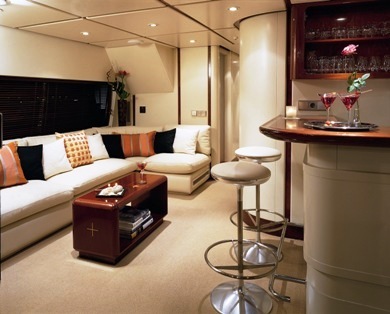 She can accommodate up to 10 guests overnight and is an ideal yacht for corporate functions, as she is able to host up to 100 guests at the quay. 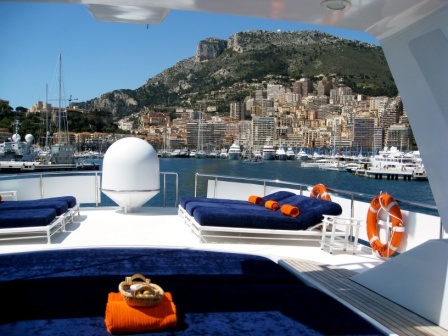 She is the perfect yacht for events such as the Monaco Grand Prix (where the maximum number on board must not exceed 70). She has a crew of 8. 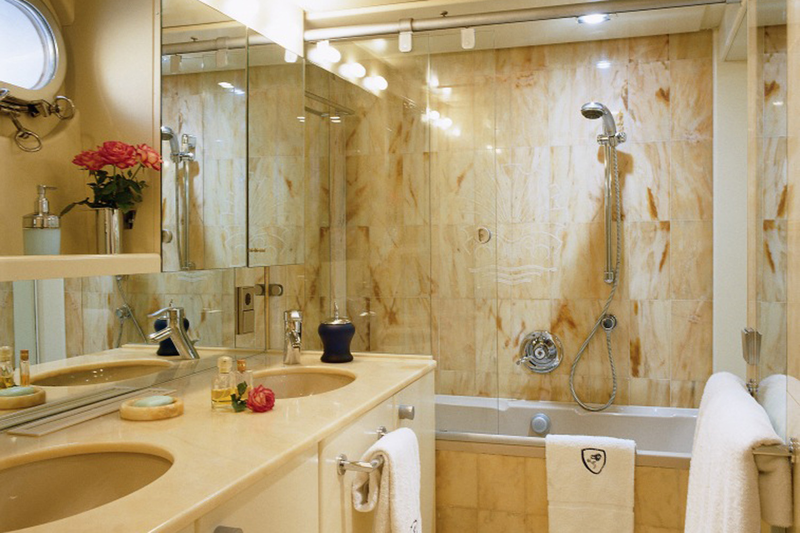 Costa Magna offers surprising volume in a refined atmosphere. 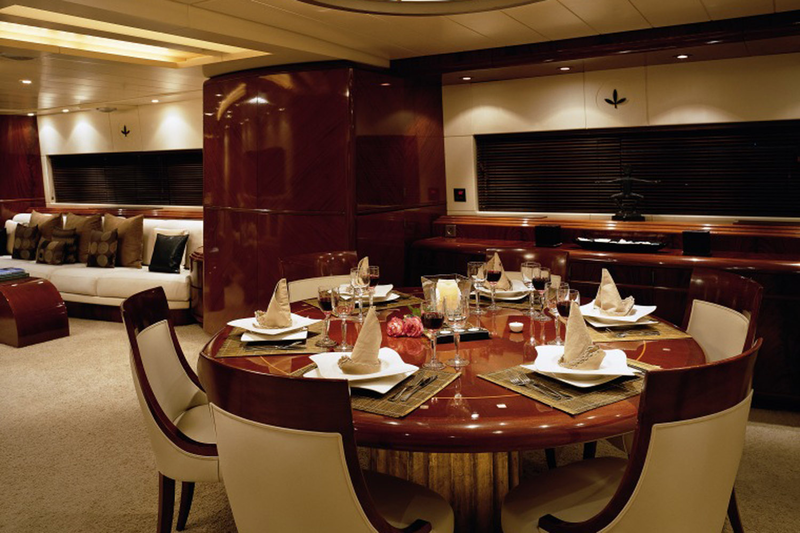 She has a harmonious interior which features a blend of mahogany wood furniture giving a feeling of warmth luxury and charm. 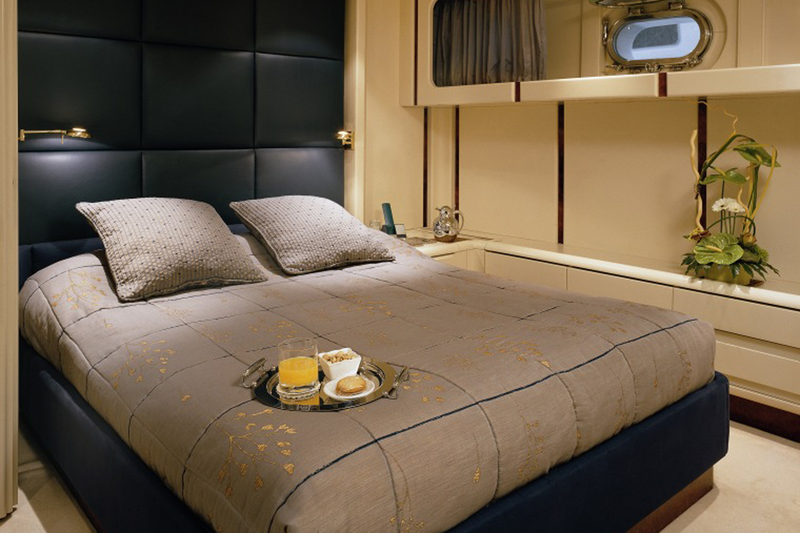 COSTA MAGNA also boasts beautiful staterooms including 3 double and two twins – a great place to relax in private. 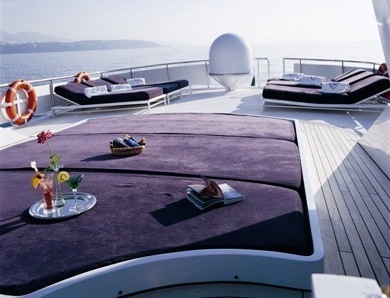 Guests onboard appreciate Costa Magna's abundant deck space. 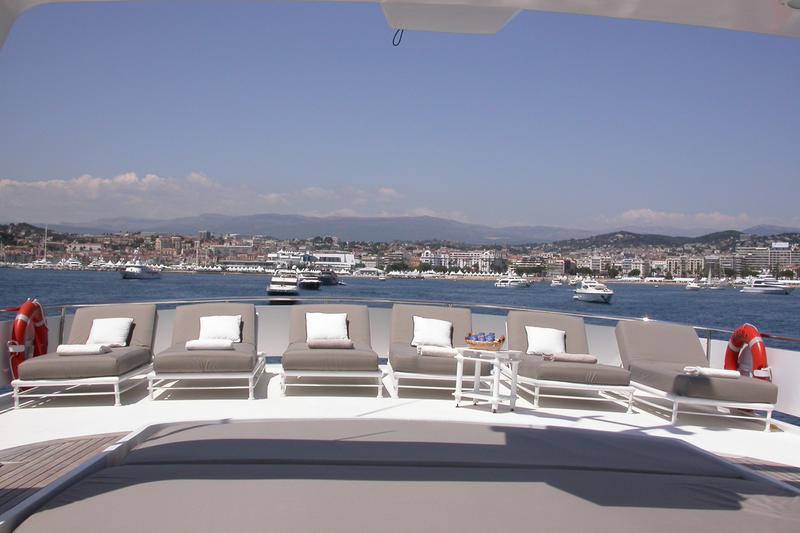 There is plentiful space to sunbathe on the flybridge or enjoy an al fresco cocktail on the aft or upper deck, which provides an ideal area for relaxation and entertainment for private charters or corporate events. 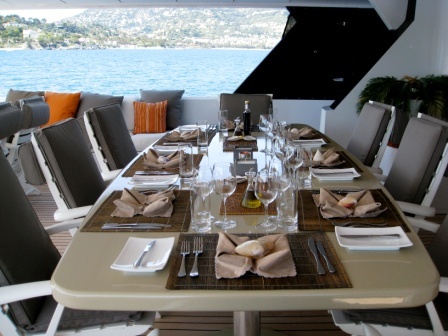 Her upper deck has a main table that can fit up to 10 guests for dining and the 2 side tables can seat up to 6 guests each. 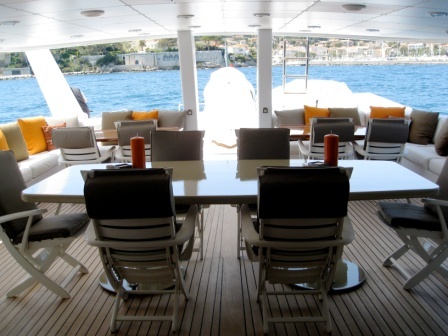 Therefore, on the upper deck can host up to 22 seated guests. 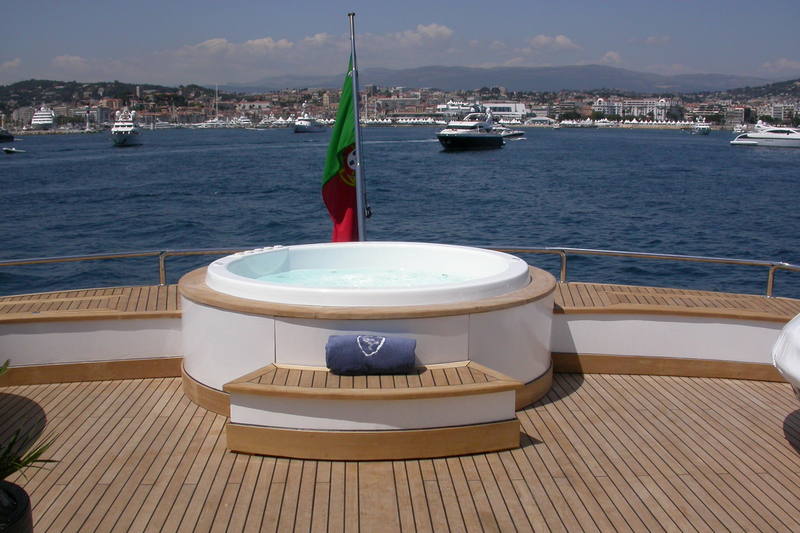 COSTA MAGNA has undergone several refits and has work done including new carpets and decoration on the upper deck lounge area in 2008 and in 2006 she received new carpets and new aft deck wicker furnishings. 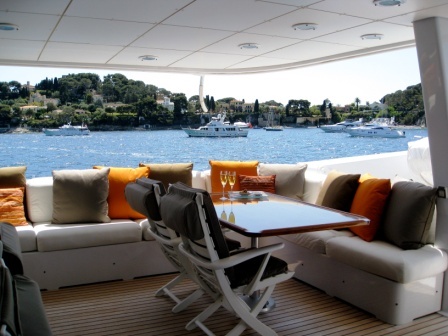 In 2004 the yacht had a major interior and exterior refit which included the addition of state of the art TV & stereo system, a Stern extension with a swimming platform and tender. 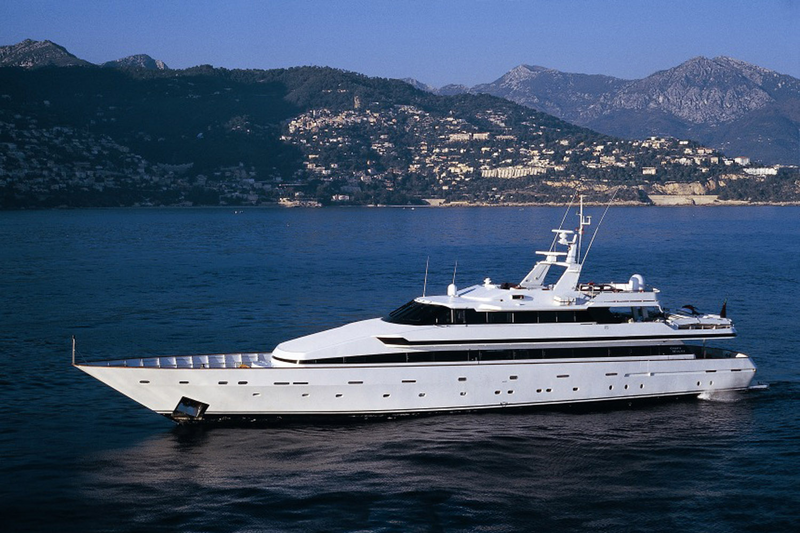 She received Full safety certification and classification surveys. In 2016 she has received new soft furnishings and in 2018 new carpets. 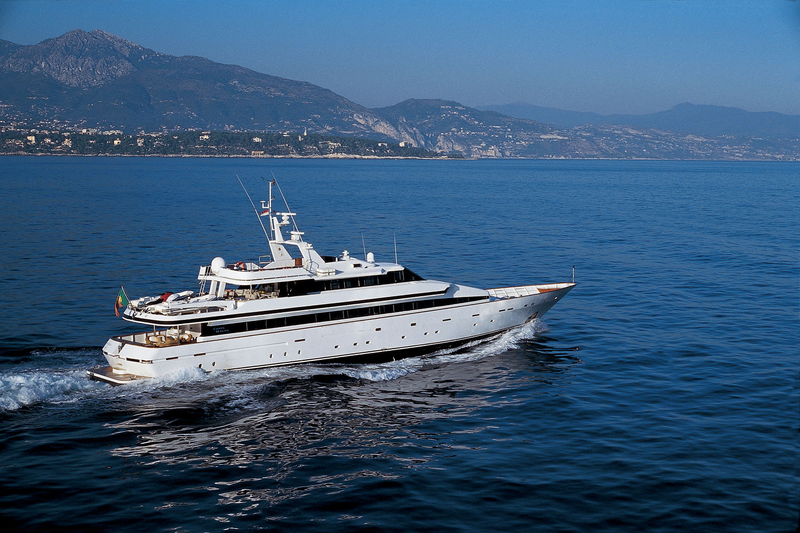 She is being maintained in great condition. 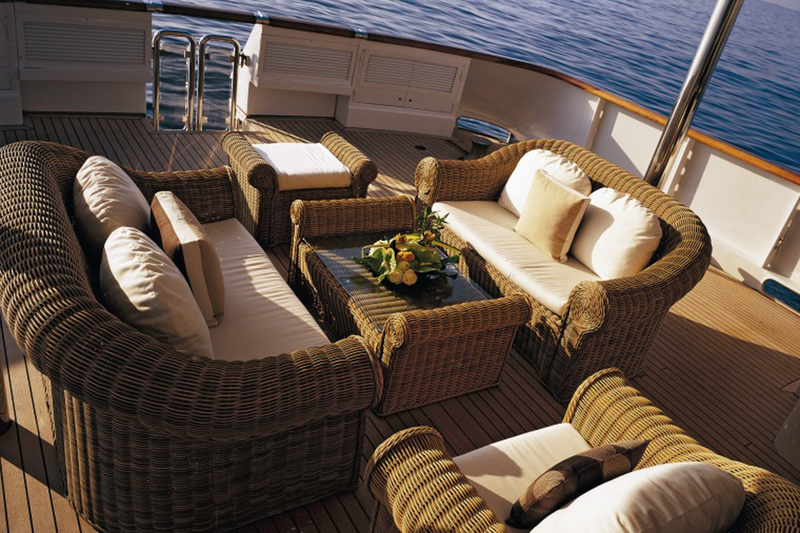 COSTA MAGNA has an experienced crew of 8 ready to welcome you onboard! 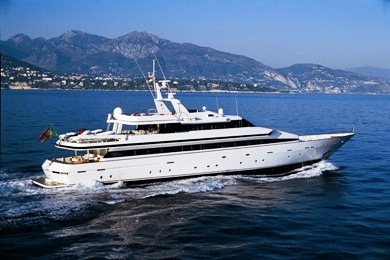 Luxury motor yacht Costa Magna can accommodate up to 10 guests sleeping and she can cruise with up to 12 guests. 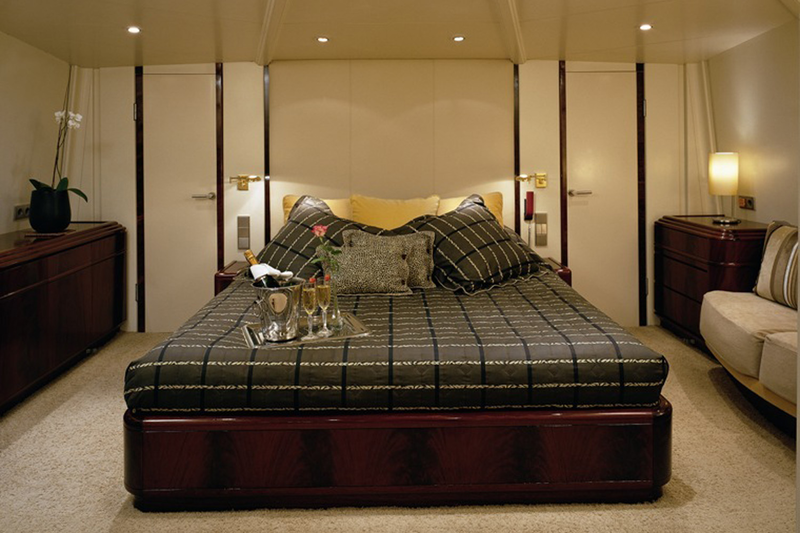 The accommodation onboard comprises of the Master suite which is located on the main deck which has ensuite facilities and a private office. 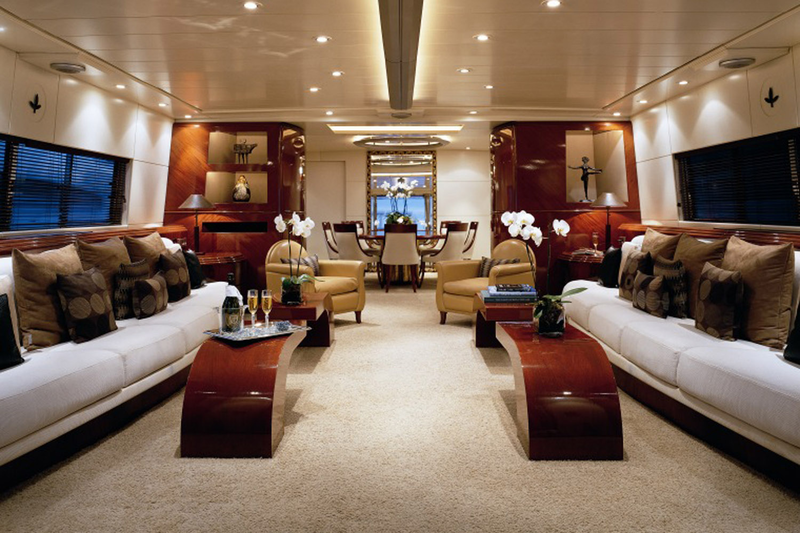 She has two VIP suites (pictured below), also with ensuite facilities. 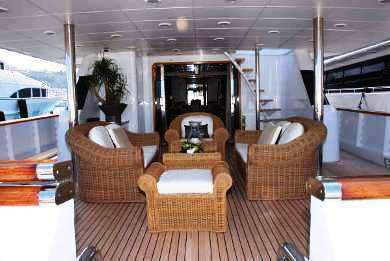 There are also two twin cabins, both with ensuite facilities. 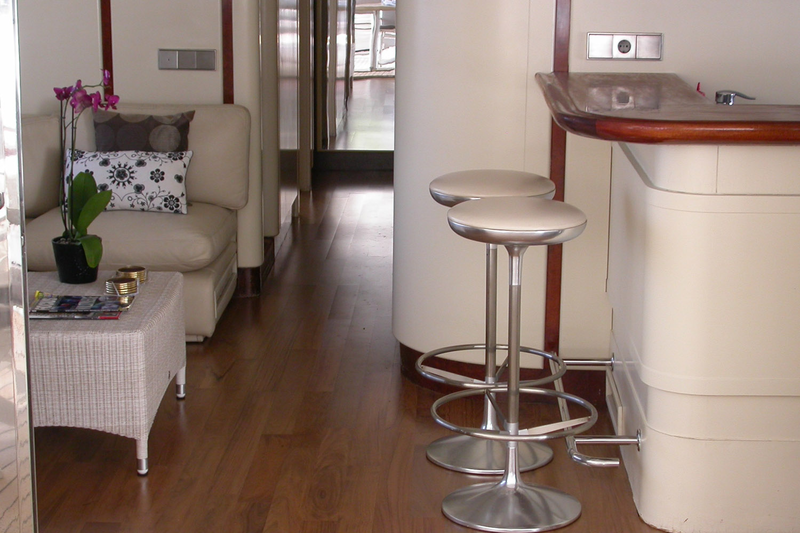 One of the twin cabins has an upper and lower L shaped berth which is perfect for children. All of the cabins have a TV and DVD payer.